Orlando Magic just broke off its coach and Ron Jeremy double Stan Van Gundy and general manager Otis “My Man” Smith. All this to appease center Dwight Howard. Orlando just set itself up for disaster. I do not care who the player is (if he’s not Michael Jordan), you never NEVER let the inmates run the asylum – especially if said player may not stick around. Howard is going to test the free agent waters, no matter what he says. 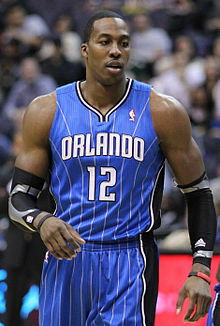 Magic management needs to realize that Howard is not going to stick around for the long hall. First of all, he ran off a pouty, but good coach in Van Gundy. That means chances are the next coach is going to be nothing more than a puppet. Second, while he chose not to opt out, he still not signed past NEXT SEASON. They should have traded for Andrew Bynum or Pau Gasol when they had the chance. Now they will be lucky to trade for Lance Stephenson. Who is Lance you may ask: exactly. The Magic will be lucky to finish in third place in Southeast division next season. They will be looking up at the Charlotte Bobcats the season after that. ‹ Hey Florida State, SHADDUP!